In the past few years many data sets have been published and made public in what is now often called the Web of Linked Data, making a step towards the “Web 3.0”: a Web combining a network of documents and data suitable for both human and machine processing. In this Web 3.0, programs are expected to give more precise answers to queries as they will be able to associate a meaning (the semantic) to the information they process. Sugar, the graphical environment found on the XO, is currently Web 2.0 enabled – it can browse web sites – but has no dedicated tools to interact with the Web 3.0. The goal of the SemanticXO project introduced earlier in this blog is to make Sugar Web 3.0 proof by adding semantic software on the XO. 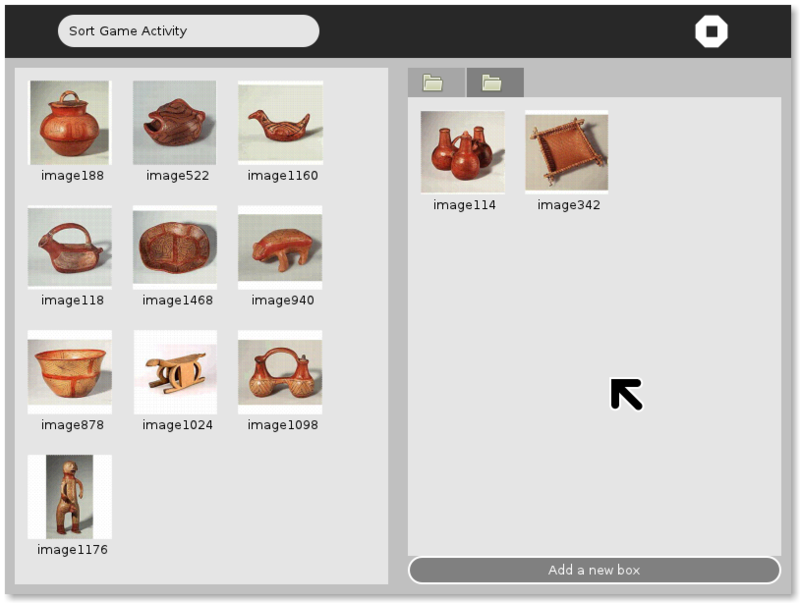 We are not done yet as there is still a lot to develop to finish the application (game mechanism, sharing of items, …). If you are interested in knowing more about the clustering prototype, feel free to drop a comment on this post and/or follow this activity on GitHub. You can also find more information in this technical report about the current achievements of SemanticXO and the ongoing work.